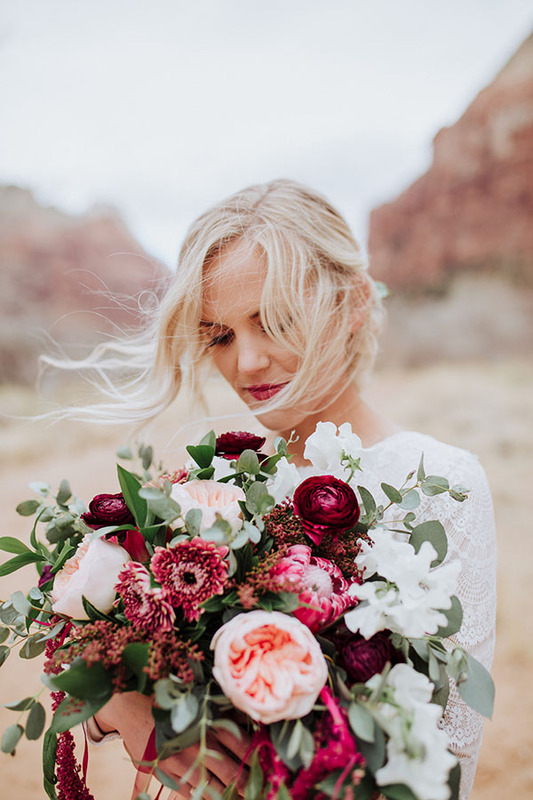 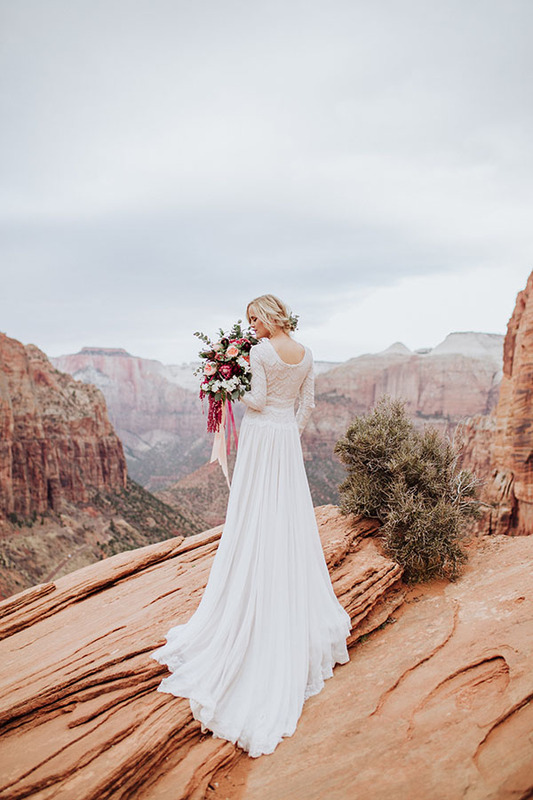 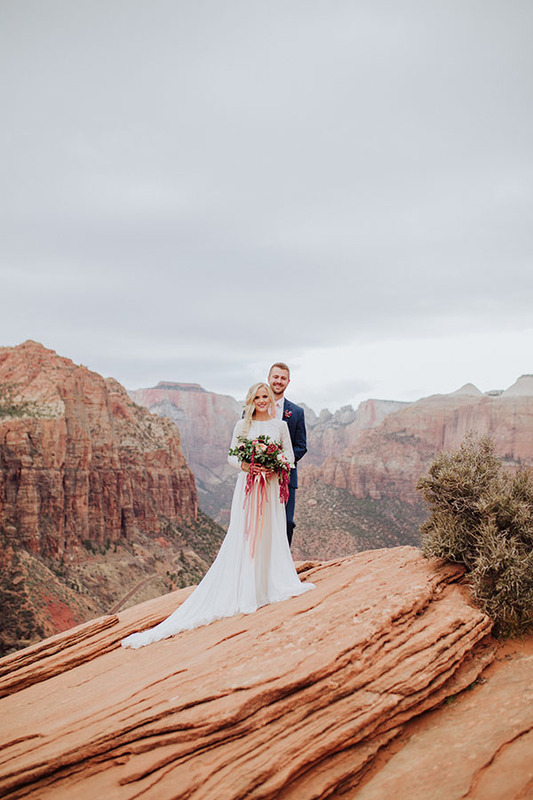 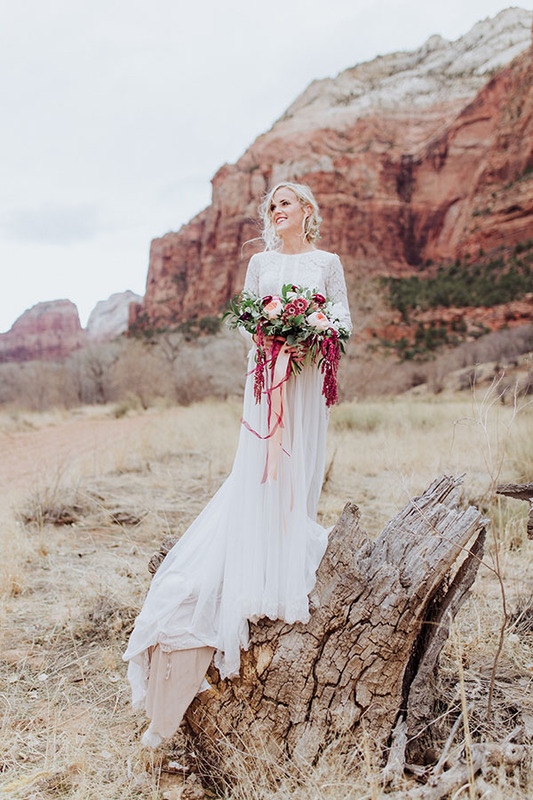 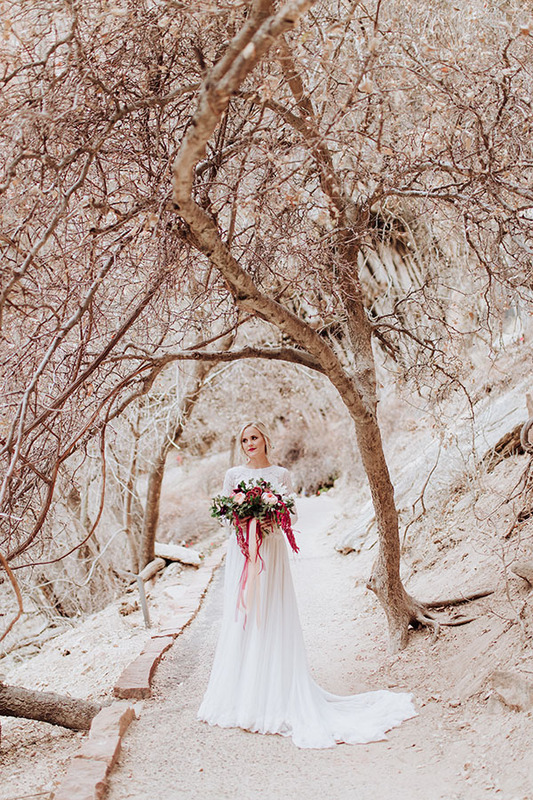 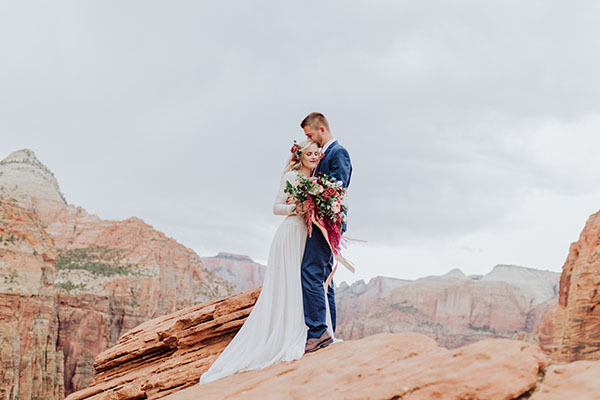 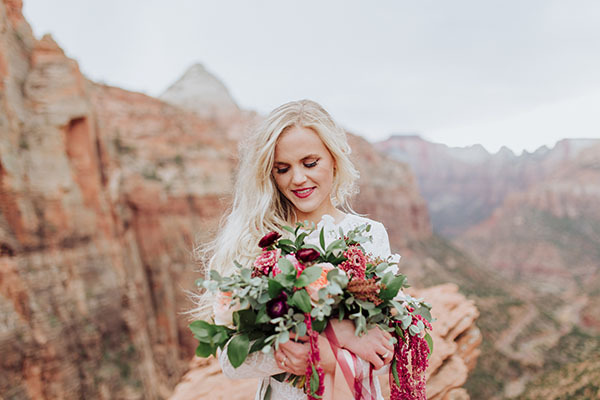 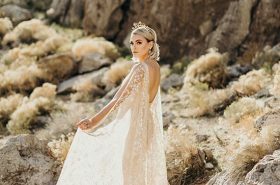 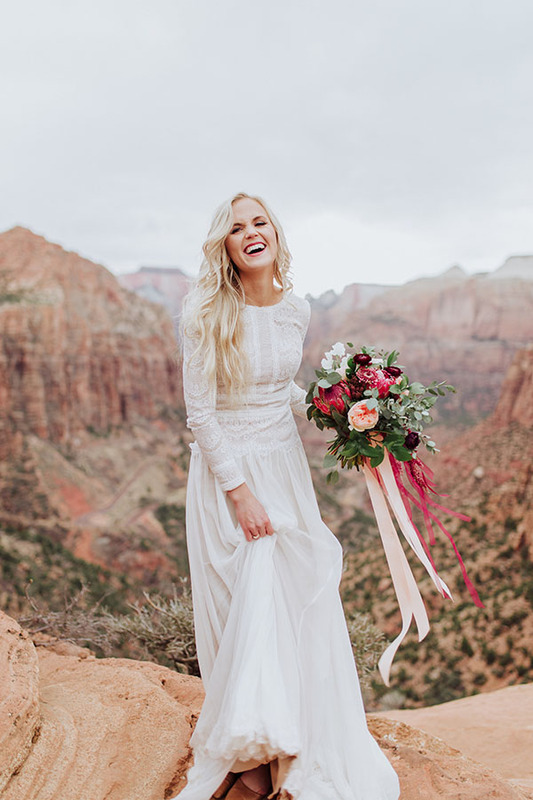 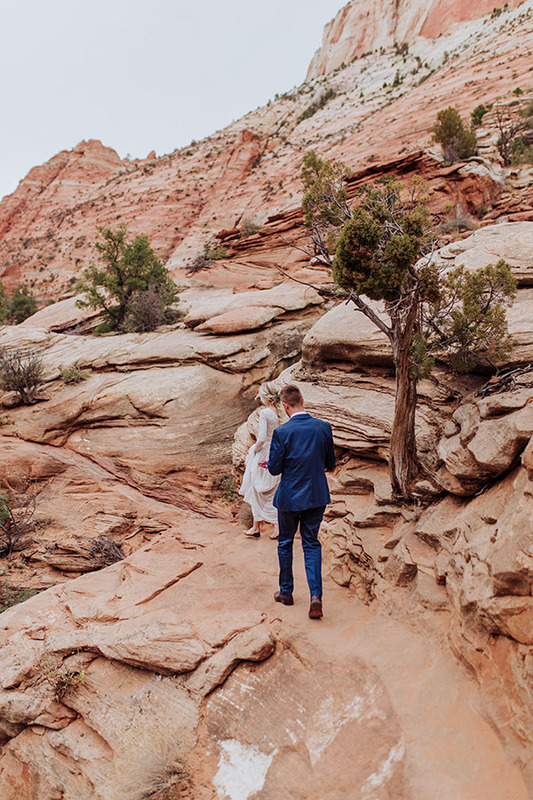 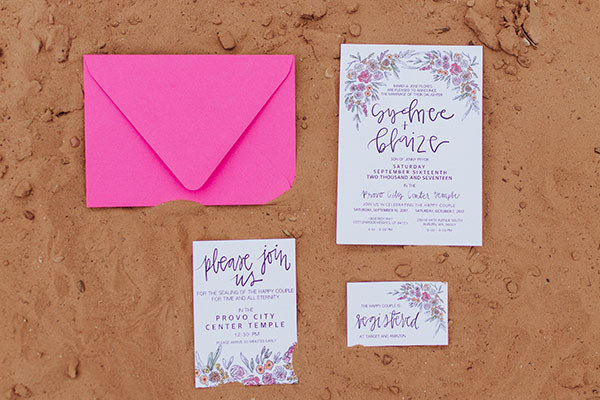 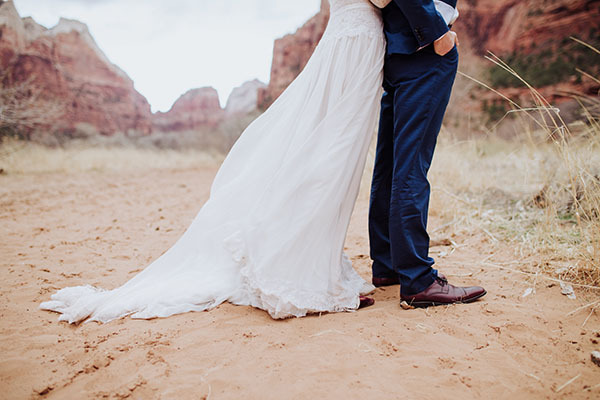 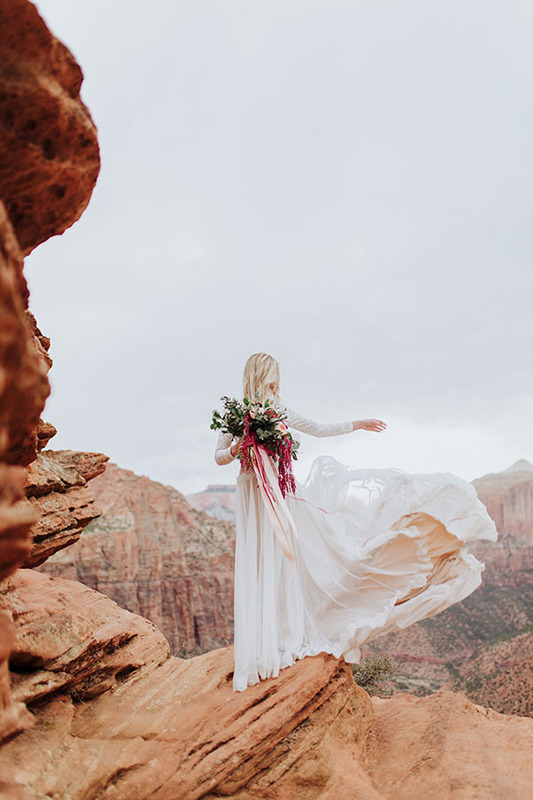 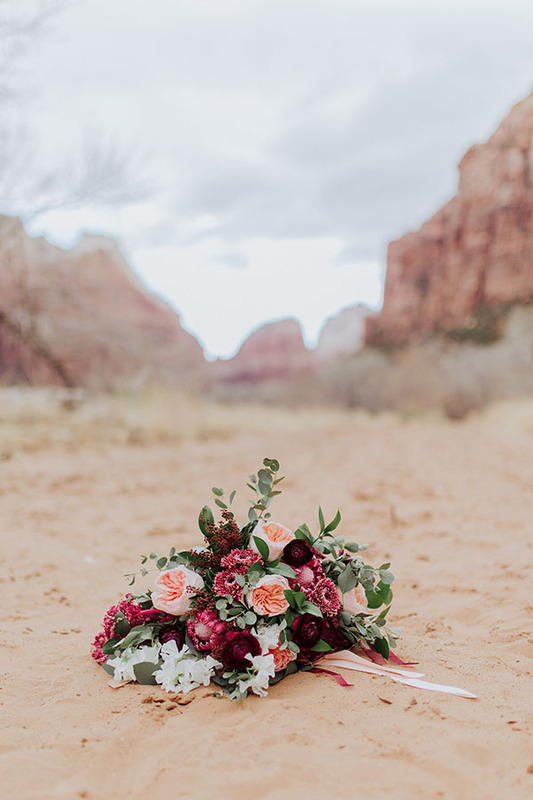 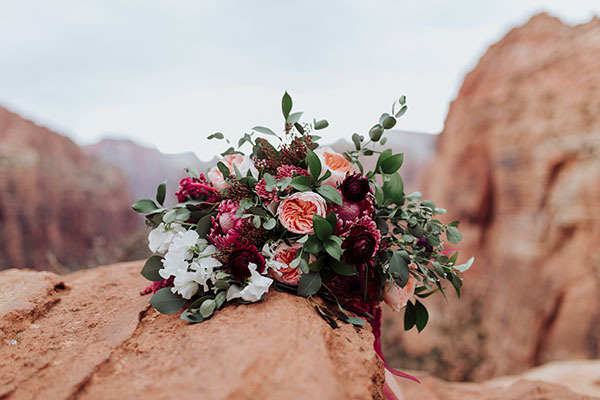 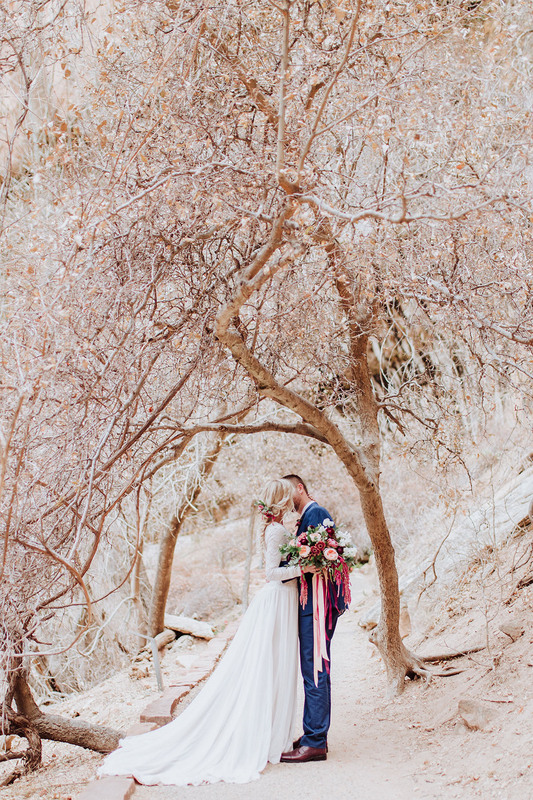 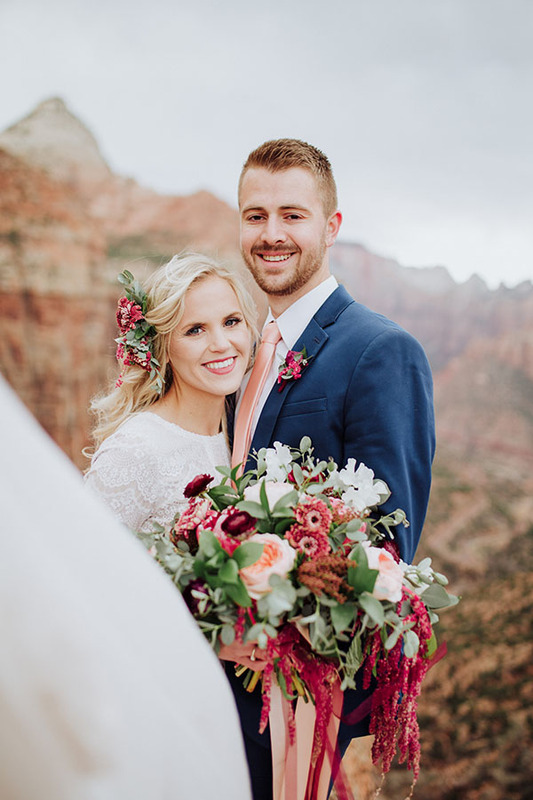 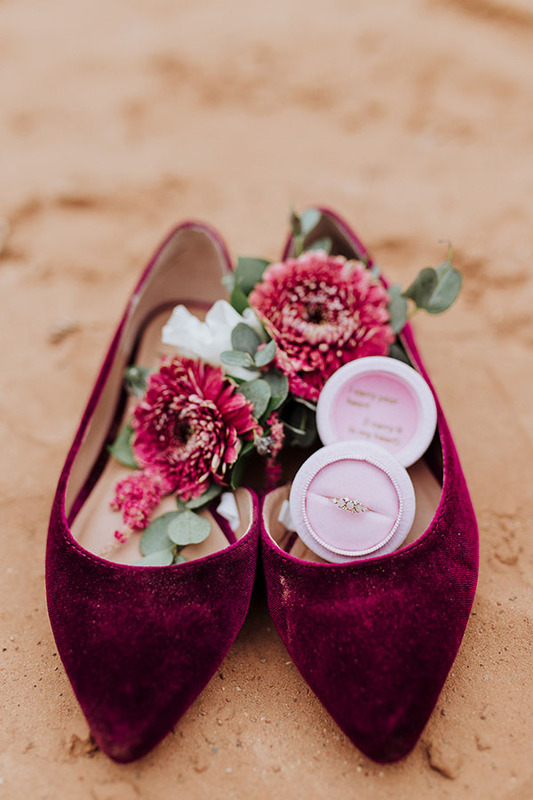 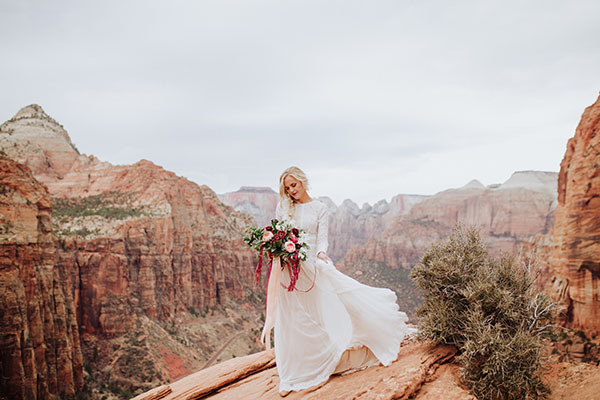 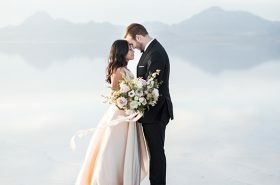 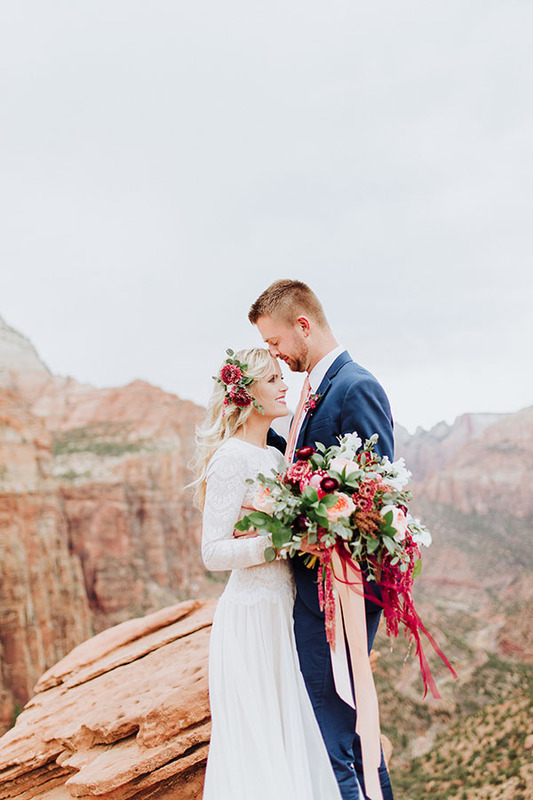 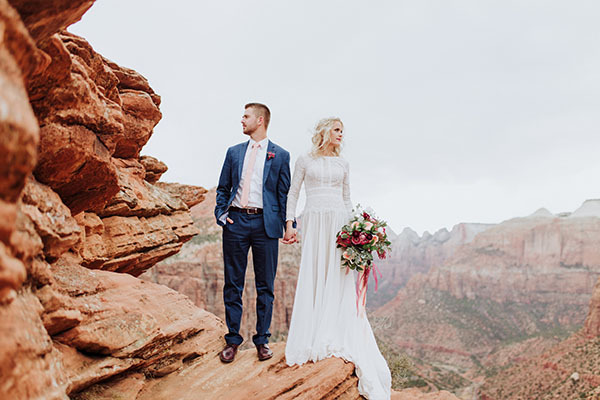 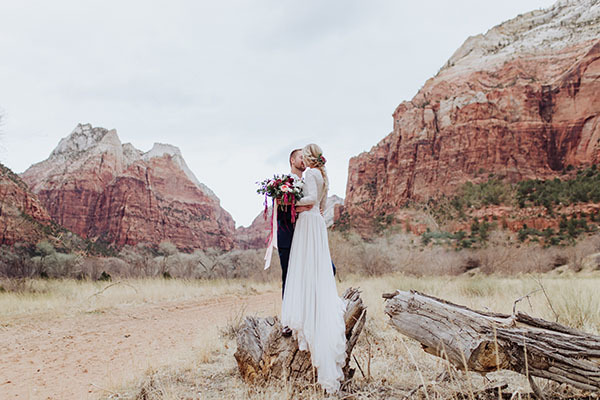 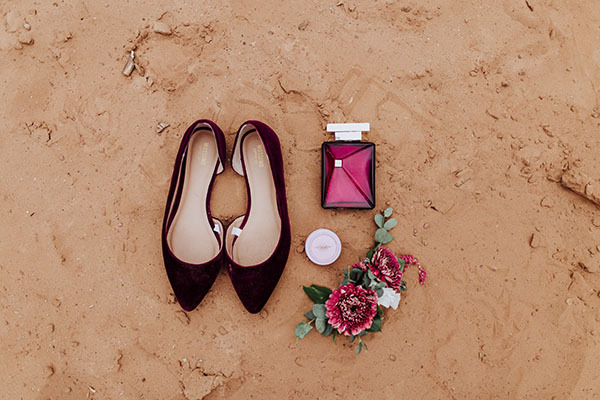 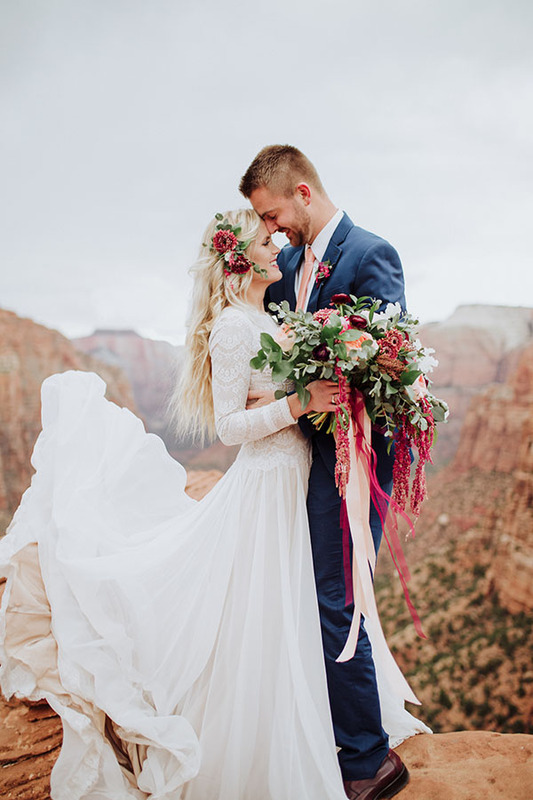 Southern Utah always has us smitten, and this stunning session from Millie Olsen is yet another reason why. 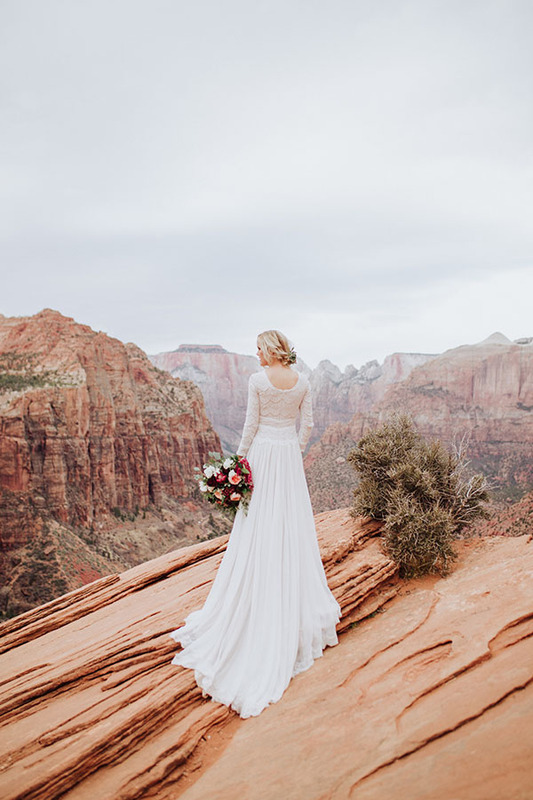 We love the romance of these divine details with that iconic backdrop. 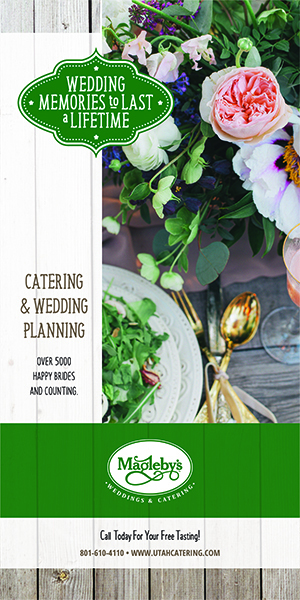 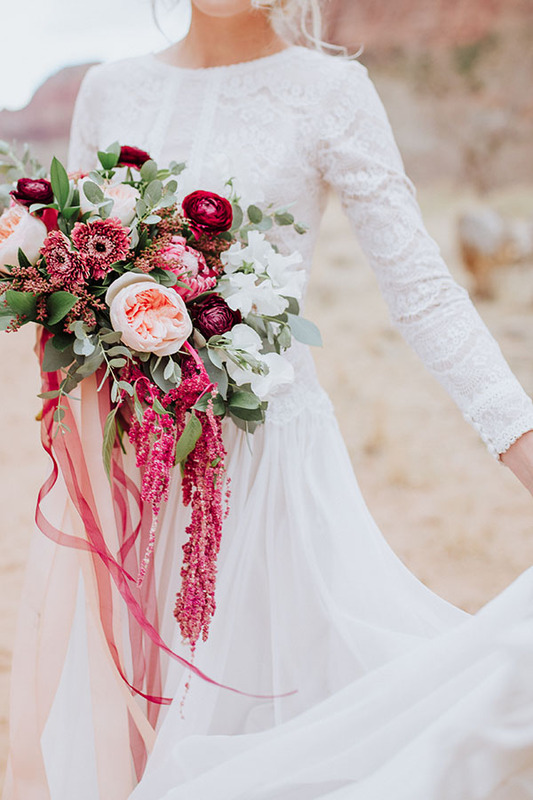 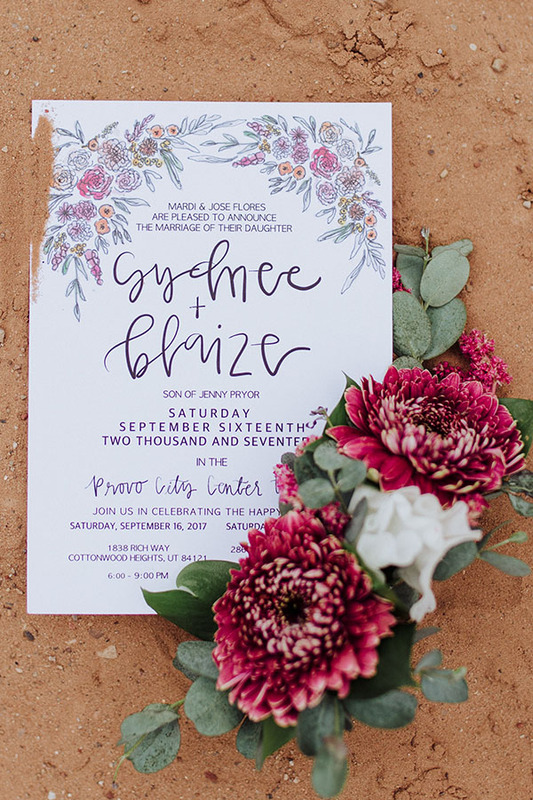 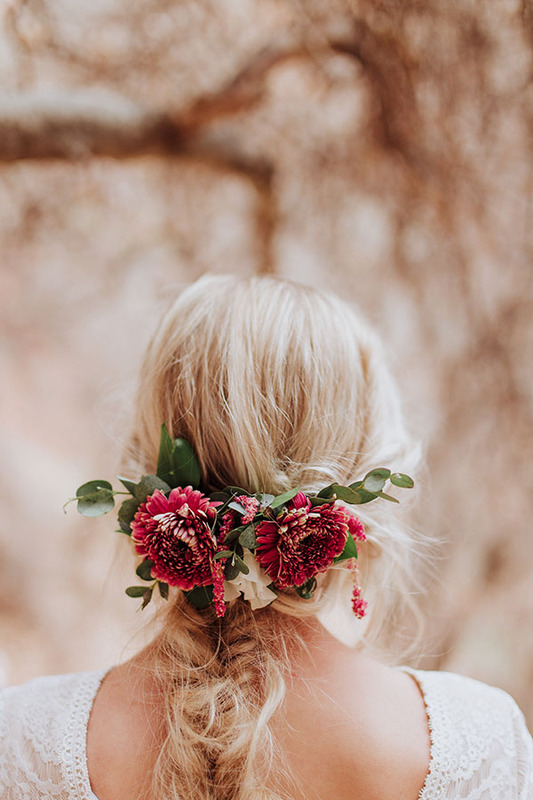 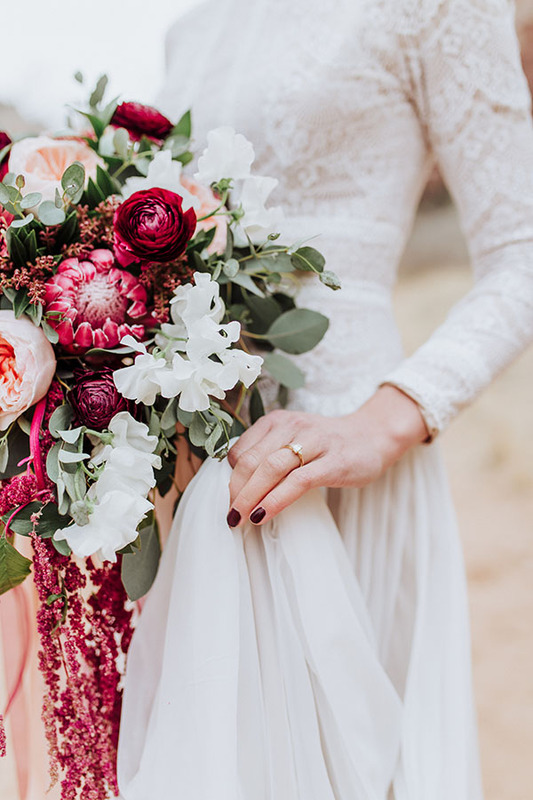 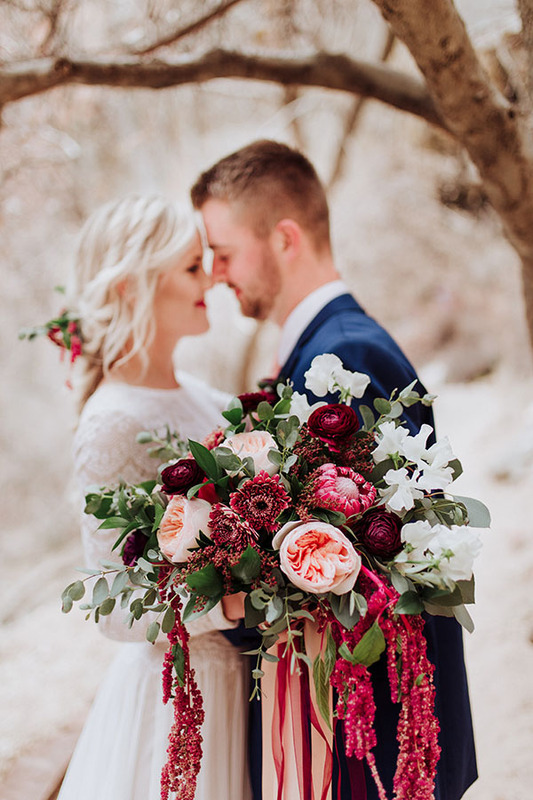 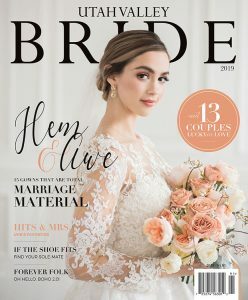 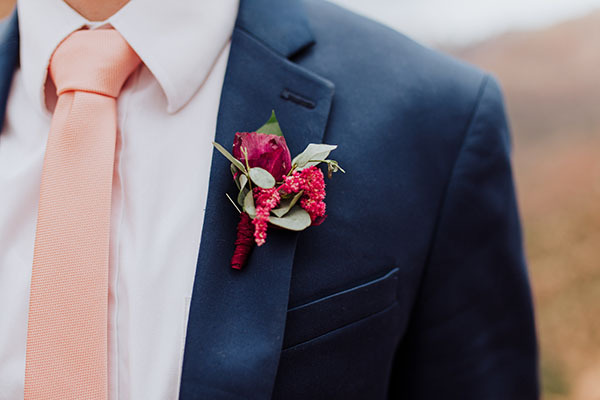 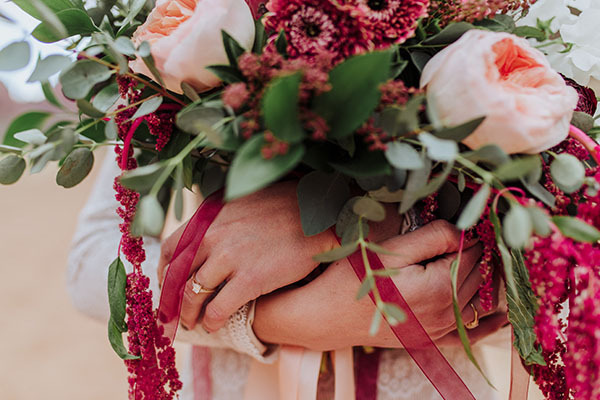 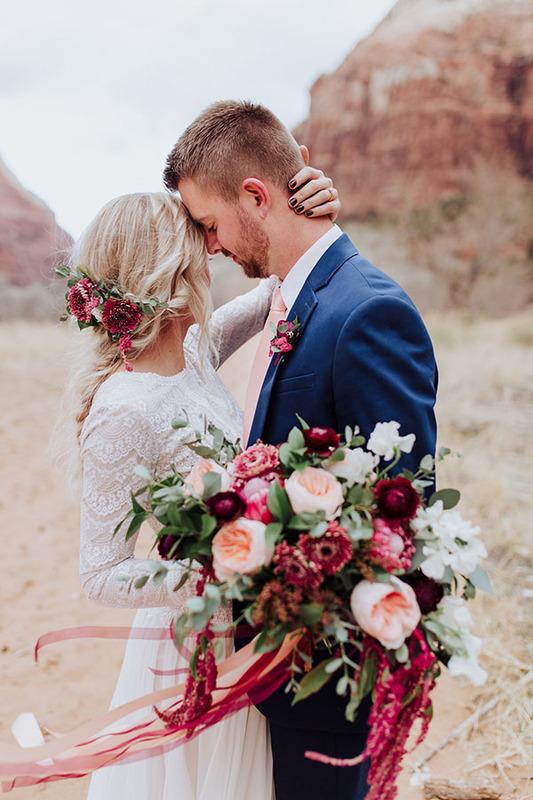 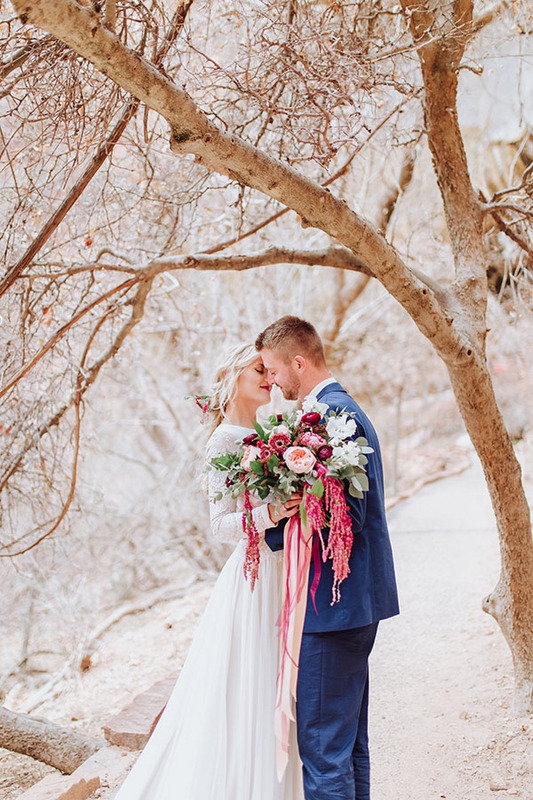 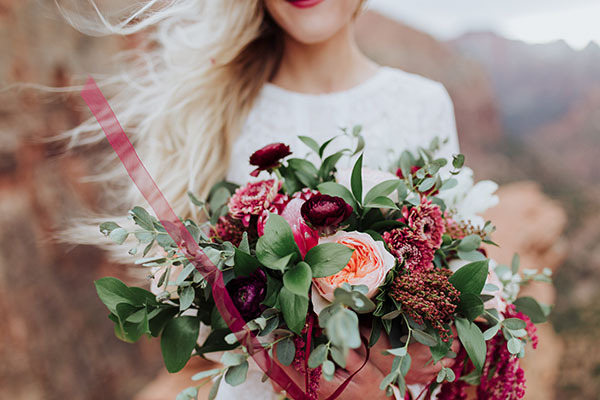 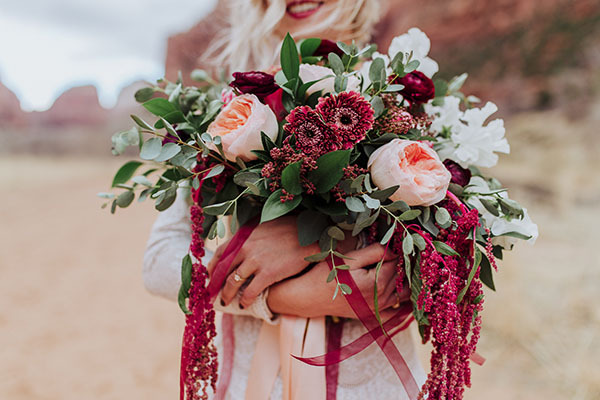 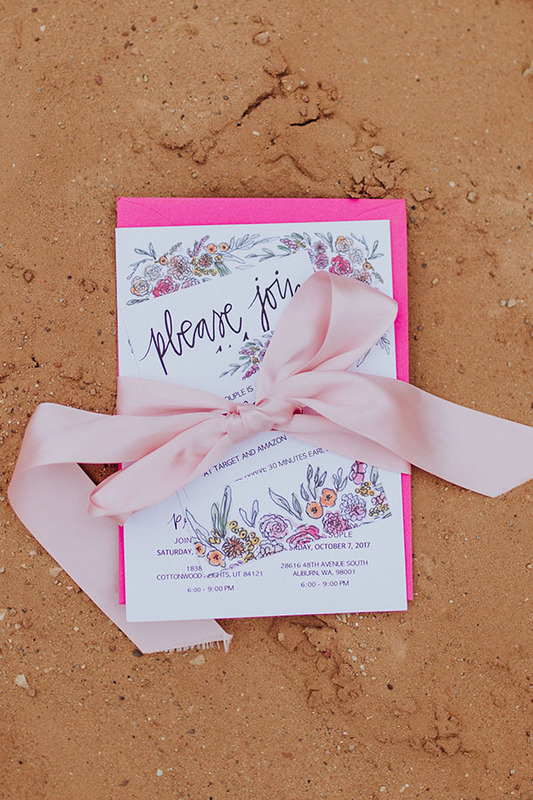 We’re dying over that bold and full bouquet by Jocelyn’s Floral (also those endless ribbons)! 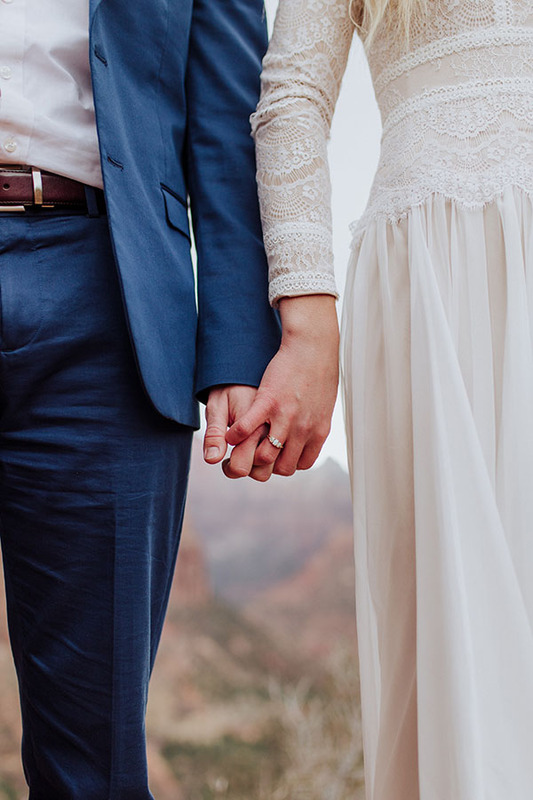 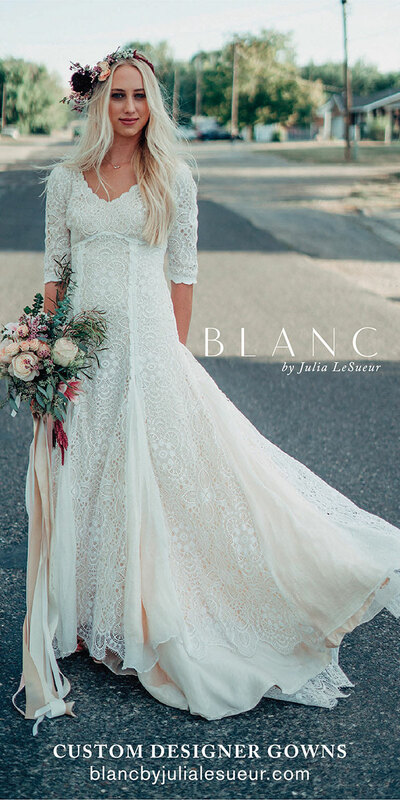 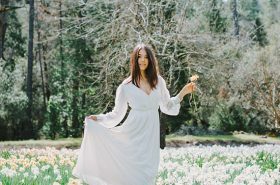 We are forever obsessed with long sleeve gowns. 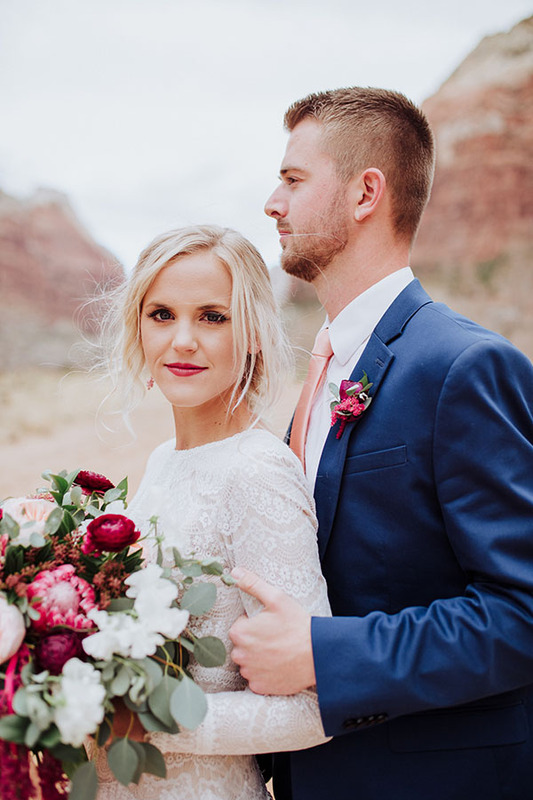 And we are completely charmed by this sweet and stunning couple. 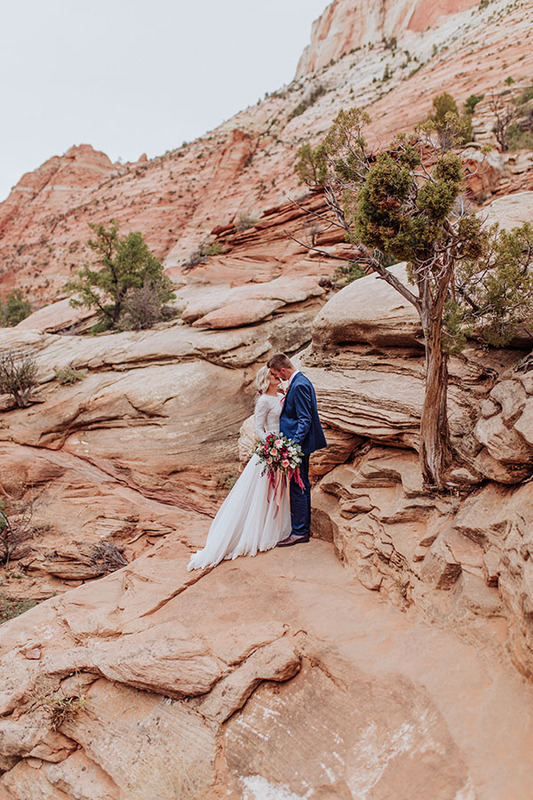 Utah, you are the raddest. 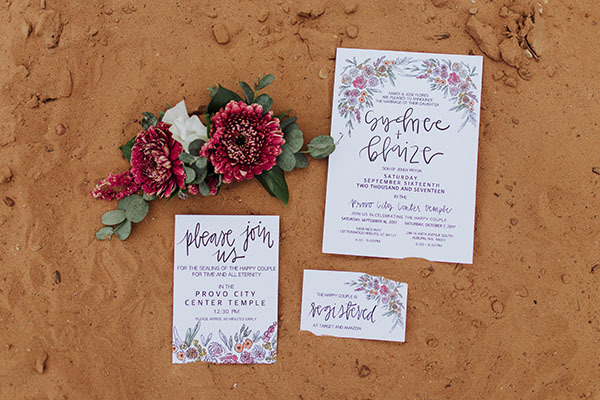 Paper Suite Artwork by Madi B.